Goodbye to Speed: The Ride at the Sahara (Vegas)? Re: Goodbye to Speed: The Ride at the Sahara (Vegas)? Forget Speed...where will people go for their 6 pound burrito fix??? Yes...just saw that the other night on Man Vs Food! Good God that thing was huge! Thank you TPR! I was in Vegas this weekend for a college hoops tourney (go Aztecs!) when I saw this news. We cut our time at Circus Circus to grab a few Speed laps. Ops are on the 15 min schedule, but at least the crew kept everyone informed and counted it down. We waited it out for 3 laps. It's running a bit rougher than our last visit in 2009. Still love the rush of that 2nd launch. The area is already looking derelict. The entire upstairs section of the NASCAR Cafe is blocked off; most of the racing simulators are out of use. They are discounting; at 12:30 on a spring Sat an all day ride pass was $14, down from $23. Other Vegas observations: Canyon Blaster at CC is running well. Circus Circus is a dump, but the $12 prime rib was excellent at the Garden Grill. The Stratosphere rides are a unique trip. Insanity is a must do. Desperado is getting rough as heck. Shame too- It's one of the better non-Schwarzkopf shuttle coasters out there- and as painful as it could be, it will be missed. Which came first the turtle or the donkey? I was going to Vegas this summer on a family trip and looking forward to riding this... but I guess not. Canyon Blaster and New York New York will have to be good enough. "Thanks cows, I appreciate your tastiness." I'll drink donkey urine before I'll drink a Pepsi. alpengeistfan1 wrote: I was going to Vegas this summer on a family trip and looking forward to riding this... but I guess not. Canyon Blaster and New York New York will have to be good enough. Have fun with the TOGO Death Machine. We'll be hoping you make it out alive! ^OMG I friggin hate that thing. 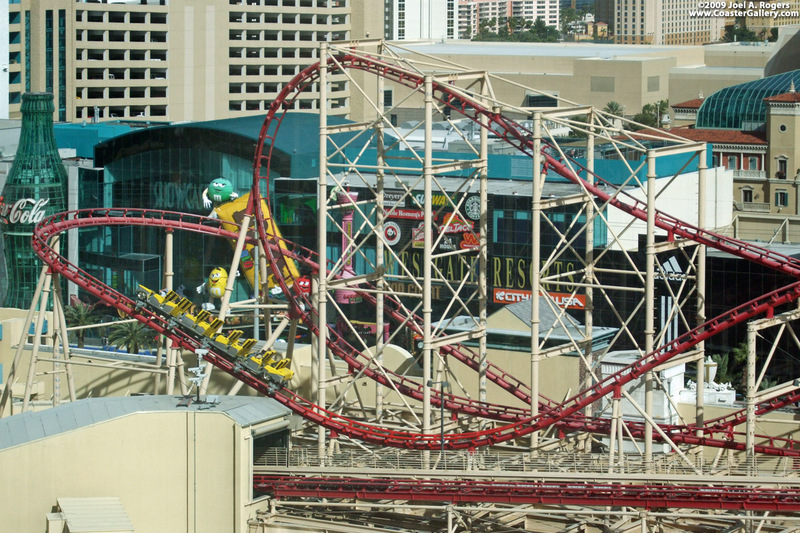 ^^ I rode Manhatten Express, or Roller Coaster, the first time I went to Vegas. I'm glad I rode it only because it is my only Togo credit so far. And, I knew what I was getting into. I braced myself and actually had an ok ride, not worth dishing out the cash for a re-ride though. Get the credit then head to Circus Circus and Stratosphere. DougMJr wrote: ^^ I rode Manhatten Express, or Roller Coaster, the first time I went to Vegas. I'm glad I rode it only because it is my only Togo credit so far. And, I knew what I was getting into. I braced myself and actually had an ok ride, not worth dishing out the cash for a re-ride though. Get the credit then head to Circus Circus and Stratosphere. I agree! I was expecting to feel like my bones were about to break but I didn't think it really was THAT bad! When I went to Vegas in 2008, Speed wasn't reopened yet :/ Guess I'll never get to experience it. As luck would have it, the New York New York coaster happened to go down for rehab the very day I was going to ride it. I know it's a TOGO death trap, but a coaster is a coaster right?